The 'Snow' coin reveals an Alpine skier slicing through the snow and a Snowboarder shredding down a mountain. 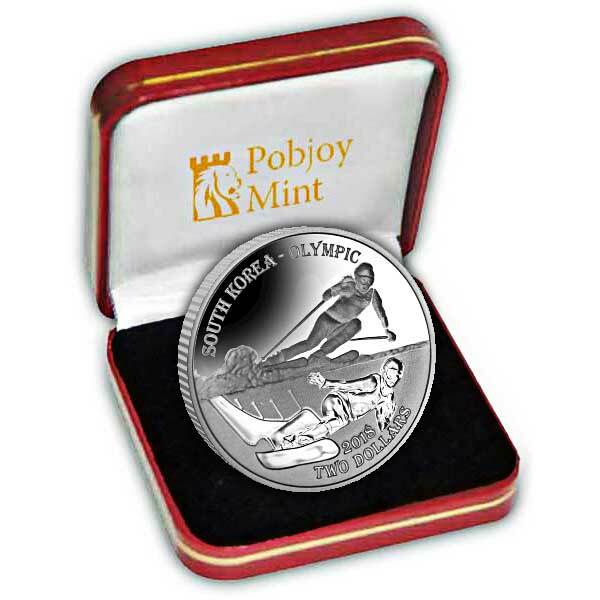 The sports have actually been segregated by utilising different finishes on each half of the coin. The upper sport is shown with the professional athletes frosted in relief with a sleek background. 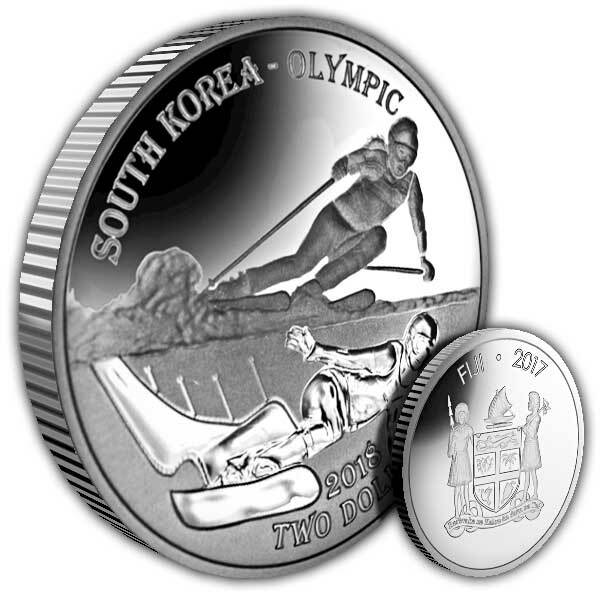 The sport shown in the lower half of the coin utilises a reverse frosting strategy which has actually the professional athletes polished in relief which the background frosted which offers the impression of the snow or ice upon which the sport takes place. The obverse includes the Fijian Coat of Arms a heraldic design including a guard with the Cross of St. George, Fijian Warriors, a canoe and a Lion on a sensational evidence background.